This is crazy - I got confused this morning and thought it was Sunday. So, I posted #NovelSnip. Luckily, mm caught my mistake. I'm taking it down and putting it up tomorrow for the sake of consistency. Geez! The stress of #ConferenceLife really caught me off guard. We've spent the morning here in Room 2557 rehashing a talk by someone who was named the "most interesting and influential classroom teacher in the country" by the Washington Post. This dude was, to understate it, slightly full of himself. "It's not about me," he said, "but, listen to this letter that my student wrote about how I changed her life." This happened over and over again. I was incredulous. Robin researched him later and found some choice quotes like, "Can you even imagine how many times I've been asked to make a movie?" and "Yes, I'm very famous in China." This guy rubbed me the wrong way, but even in his session, I gleaned some wisdom. Here it is: Be the person you want your students to be. You're welcome. Keep in mind, though, that I am not even the best classroom teacher in my very own school. You might not want to listen to my advice. Yesterday at work, everyone was really distracted by the hatching of some eaglets. All day long, all-school emails kept coming about these eagles, which we could watch on a live cam from the DNR. "Hey," the first email said. "My kid is obsessed with eagles, and you can watch the hatching of eaglets on this live cam." "Uh oh," someone else replied all, "the mom appears to be eating one of the babies." "No," someone else said, "it's a mammal. The eggs are intact." "The mom moved aside and it appears all the babies are dead." DEAD EAGLETS, I emailed all of my friends. DEAD. EAGLETS. "NO," the next email said, "it's dead pigeons. The eggs are there, and one is pipped." Later, someone sent a picture of an adult human "nesting" in the library. A dude curled up in a shelf. Here's the moral of the story: Find a bird cam and email large groups of people about it all day. Don't leave a single update out. That part is critical. Even if you're not sure what's happening on the bird cam, hypothesize and share with 500 people. Start right away. 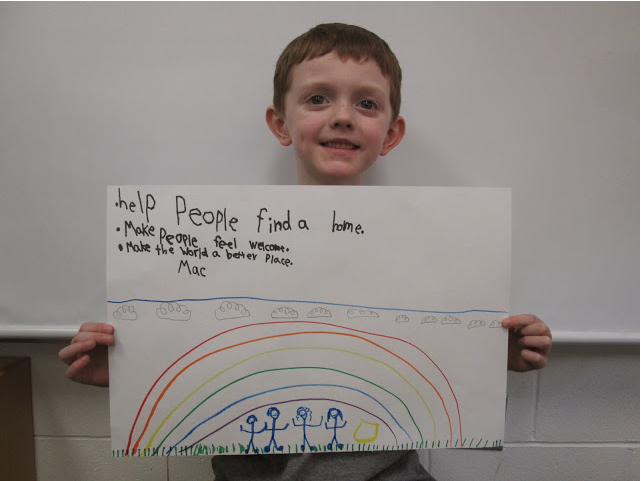 Mac's teacher asked him what he would do if he were president, and that's what he said. I'm seeing housing reform, a comprehensive immigration overhaul, and immediate action on climate change. Among other things. Today, I'm headed to Boston. I almost always feel a little tweeky before I travel. I might even think things like, "I don't want to go." and "Why did I sign up for this?" But then, once I'm settled in my seat on the airplane with snacks and a book, I usually become sublimely happy. With the exception of the one-hour, high-pressure conference talk, this trip is all about awesome times with my teaching pals. You could even call it a school-sponsored girls' weekend, probably. I'll keep you posted. Here we are again at #TwinTuesday. Today's unexpected combo is pin and clip. Pin and Clip! It has such a nice ring to it. 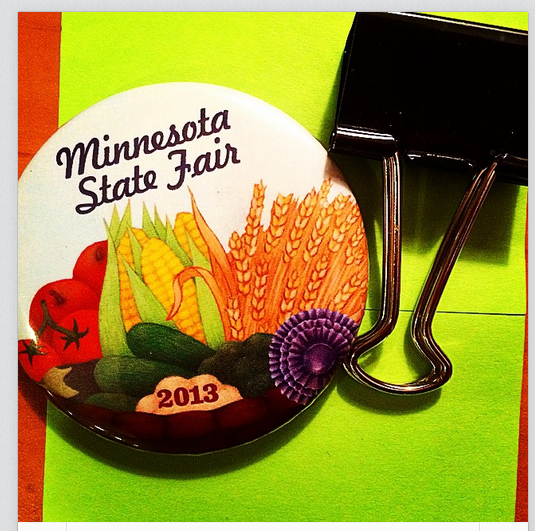 In addition to readying #TwinTuesday, I'm busy freaking out about my team's conference talk at NAIS later this week. I'm headed to Boston tomorrow night. Am I ready? I'm not ready. Will I be ready? Signs point to Yes. #NovelSnip is a little snippet of my fiction writing project. There are more characters in my story than Alice and Frank, but I keep writing about them. I write about them in the most ridiculously small chunks of time - like, two minutes before waking the kids up to go to school. I'm sort of imagining these Alice-Frank vignettes as flashbacks, but I'm not sure. Also, there will be lighter moments in these character's lives, but I haven't written them yet. Also, I don't know who the main character is. It might be Frank? Alice drove slowly home from Faith Formation. She taught the seventh and eighth graders, a surly group of mostly boys who remained obstinately disinterested in disciples and stewardship. She knew Frank would be waiting for her when she got home. “But it’s so weird!” Alice had protested when Evelyn announced her plan to get a room at the Marriott Courtyard while Frank visited for the Father-Daughter dance at school and Alice’s state championship cross country meet. “Maybe,” Evelyn conceded, nodding at her daughter, “but it’s convenient.” For her part, Evelyn could think of worse things than lying in bed, alone in a hotel room, a glass of white zinfandel on the nightstand and Law and Order on the television. Frank could take a turn with Ethan and Alice for once, just once, in the four years since he’d backed his sedan out of the garage for the last time. Alice, though, had grown accustomed to walking into the house without bracing herself for Frank’s complaints about whatever detail of their lives had irritated him in the moments before she arrived. She pulled her ancient Civic into driveway and extended her exhale. She clicked the handle and stepped out, turning to retrieve her backpack, stuffed with textbooks and loose papers, from the back seat. Then, she marched through the open garage and turned the handle on the back door. That's it! You can read previous installments of #NovelSnip HERE. Lee and I have produced a second episode of Teach Times Two podcast. This time, Lee did the post-production. Way to go, Lee! Basically, Teach Times Two is a podcast about literacy teaching and learning. If you care about those things, you'll probably want to listen. Famed jazz musician Quinn Sternberg composed our theme music. It's about lit circles and sticky notes and upcoming features in third and sixth grades. Go ahead and listen! Why not?! It's been so long since I updated you on my psoriasis. I'll get right to the point: I still have it. I go to the light booth once a week or so, and afterwards my face gets all burny for twelvish hours. After that, everything fades and the spots subside until the following week when it's time to go back to the booth. On the evening after the booth, during the burny phase, I generally feel really sorry for myself and sometimes take unflattering pictures of the carnage, which I've accentuated by applying expensive steroid ointment to the affected spots. Then, I text those pictures to people with messages like, "I'm hideous." They usually write back, "Oh you poor dear," or similar, which helps a bit. I am sorry for sending the pics, but sometimes it's important to share one's pain. I went to school yesterday feeling kind of bogged down by my cold. "Ugh," I said to my student Kristy, as we walked down the hall after class. "I'm not feeling well!" She gave me a kind of sideways glance and picked up the pace. Luckily, I'm a fast walker. "I have a cold," I continued. "Kristy, don't you feel sorry for me?" She gave me a little eye roll smile. "Not really," she said. "You get colds because you don't wash your hands enough," she explained calmly. "So, this is my fault?!" Kristy shrugged. "Yeah," she said, heading up the stairs for science. What a little booger! I'll probably try to seem extra sad and pathetic today to see if I can eek out some sympathy from that kid. Unfortunately, she seemed pretty committed to the discourse of self determination. 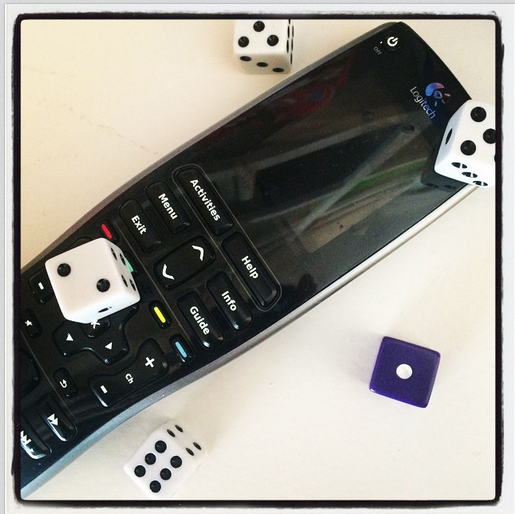 Today for #TwinTuesday, we present a remote and some dice. Did you ever expect to see these two items in tandem? I think not. 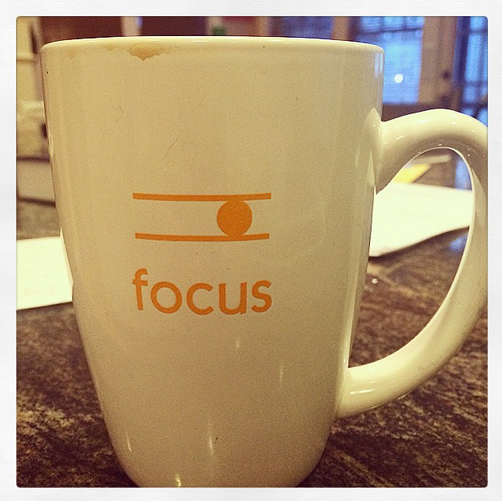 It's a great way to start a short week. Let's roll with it. All hail the three-day weekend! I've got plans for the day, and they include some grading, some lesson planning, some practicing the violin, writing a few sentences of the fiction writing project, maybe a little time on the treadmill, and catching up on television. The question, clearly, is Can I get this all done? I'm not sure, but I'm going to give it my all nonetheless. Alice felt hollow, and yet the anger shot through her voice. “It’s not my birthday!” she shouted, rising from the computer desk in indignation. She listened as Frank breathed on the the other end. “Well it’s not!” Alice declared. “Where are you anyway?” she demanded. She hadn’t heard from Frank in months, which had become more routine in the years since her graduation from high school. “I’m on the run,” Frank said. “I’m having some problems with the people who lent me money for the business,” Frank explained, his voice just above a whisper. A year before, Alice and Ethan had heard from Frank that his tutoring center, situated in a strip mall between a dry-cleaner’s and a Subway, had burned down. “Arson,” Ethan had whispered conspiratorily to Alice when they’d heard. She’d smiled, picturing Frank with a gas can and a match. Ok, so now you can click through if you want to read a little more. Otherwise, that's #NovelSnip! I was massively indignant yesterday. Every problem needed solving, and it needed solving immediately! And people just need to get it DONE! Alas, one kid kept not punctuating dialogue correctly because he was very focused on including inside jokes from Vine, rather than putting the comma inside the quotation marks and indenting for each new speaker. I found my ire rising in response to this stimulus. "Stop including jokes from Vine, and instead try very hard to get the punctuation and spacing right," I directed, firmly. This had no effect. The next little vignette also contained asinine allusions to Vine and incorrect punctuation. I diagnosed disparate aims. I wanted mastery of a writing skill; he wanted recognition for being hilarious. Unfortunately, this could not be resolved within the timeframe of the lesson, and I'll have to try again later today. #TwinTuesday really snuck up on me. I was all, What am I going to write about today? And then, I realized. It's #TwinTuesday! Luckily, we'd planned ahead and I knew exactly what to do. I found a little burlap and set the scene. 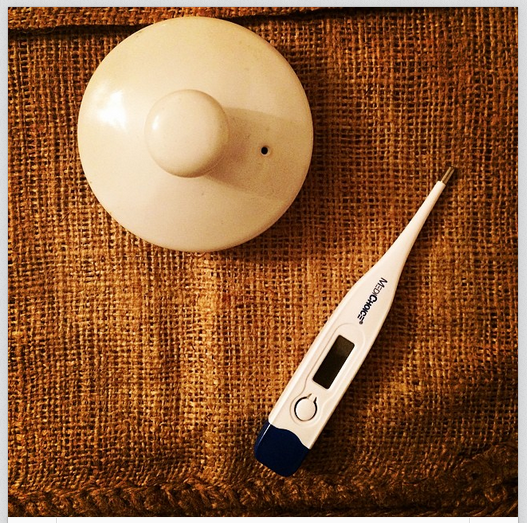 And, now we have the surprising combo of Tea Top and Thermometer. At school, I've got my last lit circle meeting. LH gave me a nice strategy for stickies that I'm going to be trying today. It's going to be a good one. #TwinTuesday and reading strategies. My child, Shef, is getting older. It's stunning. If we stand side-by-side, the top of his head is even with my cheek bone. And he's funny - quick with the witticism or sarcastic come-back. He makes his own plans and asks for rides to places. Last night, he dressed up for dinner out. When we got home, I noticed him leaning against the counter in the kitchen, casually scrolling through Instagram, his collared shirt tucked into slim black trousers, and I was just struck by his good looks. Total moment of maternal pride. "Shef!" I said, beaming. "You're so handsome!" "Yeah," he said, smiling. "I know." It seems that in addition all of this other fabulous traits, kid has a healthy dose of confidence. I suppose I'm glad. #NovelSnip is a tiny bit of my fiction writing project. This is the first week where I feel like I have to choose what to post. Like, I have two options. I wasn't sure if I should show more of Alice and Frank in the pool. The draft of that scene is complete. But, I also wanted to show this phone call between my two characters, which takes place maybe five years later. So, the good news is there are scenes in the queue. Alice glanced up from her paper on the "Miller’s Tale," the one she was eeking out one painstaking sentence at a time, when she heard it ring. The window on the front of the flip phone revealed an unfamiliar area code. Alice sighed, clicked the phone open, and took the call. “Alice?” Frank said, his voice gruff and strained. “Hi, Dad,” she said, resigned. A sudden and fierce rush of anger flashed through Alice’s body, beginning in her stomach and radiating down her limbs and up to her cheeks. “Happy birthday?” Alice repeated. The date was December 17th, days before her hometown college’s winter break, snow lightly falling, collecting in airy clumps on the sidewalk. Alice pulled her turtleneck up over her chin with her left hand as she gripped the phone against her right ear. Her birthday was May 5th. That's #NovelSnip. In this scene, Frank has lost his grip on reality. I had a really hard time writing it. I'm also having a hard time figuring out what the arc of this story is. But, that can come later. Yesterday, we went over to hang with my pal KK and her kids after school. On Thursday, she was like, "Do you want to come over for Happy Hour at our house after school tomorrow?" We've done this once before, and works perfectly - one of us purchases prosecco, and then we let our boys, who match up in age and temperament, run around the house while we calmly toast the fact that we made it to Friday afternoon. 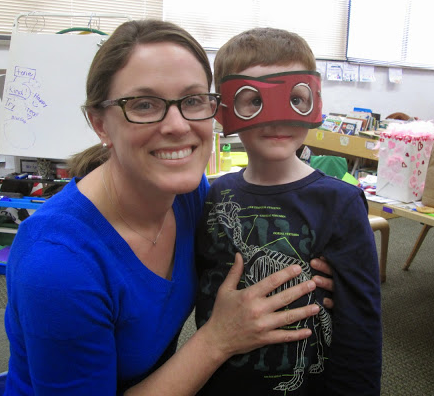 On Thursday when we got the invitation, Abbott, her second grader, was experiencing some anger related to perceived mistreatment on the part of his older brother. "Abbott," I said, cajoling, "don't be sad! We're coming over tomorrow!" "Great," he said, squinting his little eyes and frowning intensely. "You freaks are coming for Happy Time." That really cracked me up. He's right. These freaks would never miss Happy Time. Oh, Winter. Your weeks stretch out like chewed Laffy Taffy. Luckily, we made it to Friday once again. The students have been working on some projects related to descriptive writing and lit circle books. They're productive and happy, and they don't need me. You know what happens then, right? I get bored and start distracting them from their work. Tapping their shoulders and pretending it wasn't me. Stuff like that. You can tell they're like, "Please leave me alone. I'm writing." I know I should. I'm going to try my best. 6th grade is a big entry year in my school, so all fall and winter, we have kids visiting as part of their admissions process. When they visit, they get a host. It's kind of a big deal to be a host. You have to apply to do it, and if you do a less-than-stellar job, you don't get to do it again. Basically, we want the kids visiting to have a swell time. This week, one of my funniest little advisees got assigned to be a host without applying. This happens sometimes if the visitor knows someone already and wants to spend the day with that person. "I have to talk to you about something," the advisee told me, seriously. She pulled the assignment sheet from her backpack. "Oh!" I said, enthusiastically. "I saw Ms. G. give that to you. You're going to be a host!" "I did NOT apply to be a host," the advisee announced. "Hmmm," I said. "Well, sometimes the visitors request. Do you know this person?" I pointed at the name of the visitor. "Kind of," the advisee admitted. "How nice," I said, smiling. "She wants to spend the day with you." "Well," said the advisee, skeptically. "So, do you think you can do it?" I probed encouragingly. "I GUESS," the advisee conceded. "Great!" I cheered. "Just give her a call tonight and tell her what to bring for PE." This #TwinTuesday has Lee Heffernan written all over it. I'm pleased with how the green lid blends with the greens in the textiles I've chosen for this unexpected pairing. 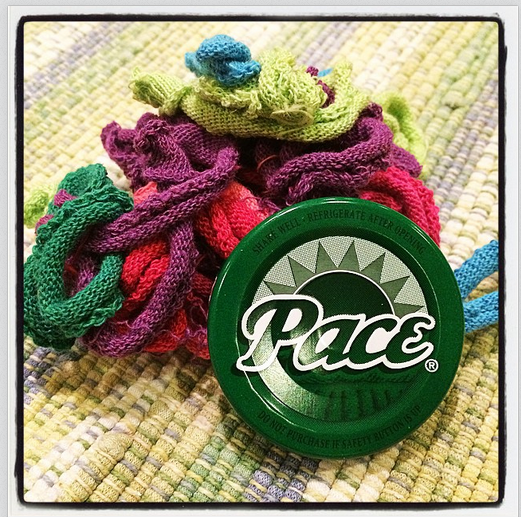 We're calling it Tangled Textiles and Lid. Once again, I feel like my best has been brought out by LH. When the Super Bowl started, no one in my household cared one way or the other who won. We were all, "Let's have nachos!" and "Look! It's Katy Perry!" But when the Seahawks inexplicably failed to simply hand the ball to Marshawn Lynch - "Only the best flipping running back in the league!" Shef's pal lamented - a wave of anger spread through all of us. Well, not really me because I don't care about football, think it's stupid, and hadn't heard of Marshawn Lynch prior to witnessing the outrage that spread through Dan and Shef and Shef's pal. "I'm furious!" Dan kept saying. "You're half a yard from the end zone and you have MARSHAWN LYNCH!" "Marshawn Lynch!" Shef's pal repeated. "I called that pick," Shef said knowingly. I did get into it a little as I watched smug little Tom Brady collect his accolades on the sidelines. "The Patriots didn't even win that game!" Dan raged. "It was handed to them by the Seahawks COACHING staff!" Overall, I can agree that the ending wasn't ideal. The fighting and the failure to give the ball to MARSHAWN LYNCH. These unwise decisions will live in infamy. As she worked her Speedo over her hips, Alice tried to clear the heaviness in her chest with deep breaths. It didn’t work. She stepped into the hallway where Frank was waiting, his jaw set and, Alice noted, slightly menacing. His undershirt stretched over his round belly and hovered a fraction of an inch above the the elastic band of his swim trunks. “Ready,” Alice said, and Frank nodded, eyeing the baggy soccer shorts she’d pulled on over her suit. Alice tossed her towel over her shoulder and followed Frank out of the apartment. Heaviness dripped from her forehead into her cheeks. The pool was dark and vacant, and Alice quickly shed her shorts and dropped her legs into the water, shrugging her shoulders to her ears as she waded to waist, then chest depth. After a few laps, she grabbed the side in the deep end and floated her legs behind her, kicking slowly. Frank glided up beside her, inches from her left shoulder. She blanched at his proximity. “Aren’t you having a good time?” Frank asked, a bit of sarcasm hanging behind the query. “Yeah,” Alice said, eyes trained on the gutter, watching the water bubble down. “It doesn’t seem like it,” Frank said. She could feel his breath on her cheek. “I’m really busy with finals, Dad,” Alice said. “I guess it wasn’t a very good time to come here.” They had made plans for Alice to be deposited at the FAU library the next day - she hoped all day - to finish the research and writing of her paper on Macbeth. Frank grunted. Alice kept her legs going in a flutter kick, kept starting at the concrete lip that separated the pool from the drain. And that's #NovelSnip this week. I need to write some more pages. Time's been slim this week, and I've been writing in 10-minute segments. That's not really long enough to make significant progress, I've found. But, I'm doing my best.